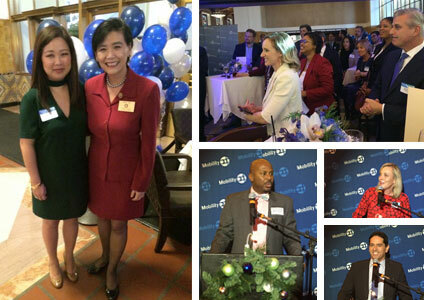 Last Friday, the Mobility 21 Board of Directors hosted a legislative reception honoring Southern California’s elected officials for their leadership in transportation. The intimate and exclusive event also included leading public and private sector members from our Advisory Board who are shaping the future of transportation and mobility in the region. A proven leader, Kristin Decas repeatedly demonstrates her ability to build vision and implement strategy through open, collaborative processes that foster results. Since beginning her tenure with the Port of Hueneme in February 2012, the Port has realized several successes. Tonnage totals have grown every year since her arrival from 1.3 million tons for FY 2012 to over 1.575 million metric tons in 2015 marking the Port’s strongest sustained trade years since its inception in 1937. 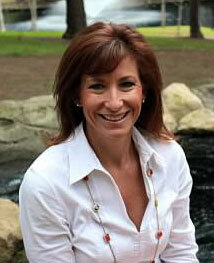 Kristin championed the first annual Port Banana Festival, drawing over 10,000 visitors to the Port. Port of Hueneme related activities generate $1.5 billion in annual economic impact and create more than 13,600 direct, indirect, induced and influenced jobs. Most recent successes include securing a $12.3 million Transportation Investment Generating Economic Recovery(TIGER) grant and a $1.5 million Economic Development Administration (EDA) grant. Also under her leadership the Port will be advancing a harbor deepening project in concert with the U.S. Army Corps of Engineers. Prior to serving for the Port of Hueneme, Kristin served as CEO and Port Director for the Port of New Bedford, MA, the nation’s number one value fishing port. In 2007, when Kristin took the helm as the director for the Port, she inherited a $200,000 deficit. Kristin literally ‘cleaned up’ the financial and physical landscape. Under her leadership the Port realized significant growth in port development, cruise and recreational boating activity. Kristin is recognized by Trade Administration officials for her impressive work in promoting economic development through international trade promotion, and for her service on scores of federal level shipping and port committees. Kristin was awarded high-profile appointments by the U.S. Department of Transportation to both the National Freight Advisory Committee (NFAC) and the U.S. Marine Transportation System National Advisory Council (MTSNAC). Ms. Decas is the current President of the California Association of Port Authorities (CAPA) representing California’s 11 deep water ports, providing educational leadership and advocacy on issues related to transportation, trade, the environment, land use, energy and other subjects effecting port operations. In 2015 Ms. Decas served as national Chairperson of the American Association of Port Authorities (AAPA), a trade association representing more than 130 public port authorities in the US, Canada, the Caribbean and Latin America. Kristin was the first woman to run both the Port of New Bedford in its 50 year history and the Port of Hueneme in its 78 year history. She was the 4th woman to chair the AAPA in its 103 years. Kristin was awarded Woman of the Year by the Oxnard Chamber of Commerce in 2014, the Pacific Coast Business Times Editor’s Choice Award in 2015 and was among the Pacific Coast Business Times’ Top 50 Women in Business in 2016. She lives in Oxnard, CA with her husband and is the proud mother of two daughters. Dina Rochford has been at Leighton for over 20 years. In her current position as a Principal for Leighton, Dina’s success is built upon her local and industry knowledge, the relationships she has developed throughout her career, and her strong political background. She is a member of Leighton’s board of directors and helps to create the firm’s corporate strategy and the execution of the company’s annual plan. At Leighton, Dina maintains, develops and oversees the firm’s transportation practice, as well as oversees business development in the Orange County and Los Angeles markets. In this work, she tracks regional transportation, public works and commercial and industrial projects, and acts as a liaison between the firm’s technical project managers, clients and agencies. Based in Irvine, Dina is involved with the firm’s business development strategy and oversight throughout Southern California. Chair, Public Works Commission, City of Huntington Beach, 1997-2004. 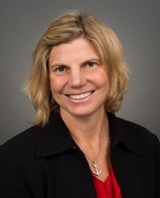 Appointed by Mayor Pam Julien and the City Council, Dina served in an advisory capacity to the City Council of Huntington Beach on all matters regarding the City’s transportation and water/waste water infrastructure. Aide to Irvine’s Mayor Christina Shea, 1994-2000. Working closely with Mayor Shea, Dina was an advisor on regional issues. She helped negotiate land and entitlement deals with The Irvine Company and other local developers. She was involved with the El Toro Reuse Planning Authority (comprised of representatives of the cities of Irvine, Dana Point, Lake Forest, Laguna Hills, Laguna Niguel, Laguna Beach, Laguna Woods, Mission Viejo and Rancho Santa Margarita). Dina also assisted in the development of a plan for an alternate site for Musick Jail, and worked on regional transportation issues. Serving as a liaison to Irvine residents, Dina worked closely with South Orange County elected officials and the OC Board of Supervisors. Senior Staff Assistant to Congressman Chris Cox of Newport Beach 1988-1996. Staff Assistant in charge of all tax and military issues including the closure of both MCAS Tustin and El Toro. Regularly attended meetings of the El Toro Reuse Planning Authority and El Toro Citizens Advisory Commission. Acted as local liaison to local elected officials and constituents when Congressman Cox was in Washington, DC. Dina spoke on behalf of the Congressman and wrote correspondence for him. In the course of supporting Congressman Cox, Dina developed close relationships with numerous constituencies. Congressman Cox represented: Irvine, Lake Forest, Mission Viejo, Laguna Woods, Laguna Niguel, Laguna Hills, Newport Beach, Mission Viejo, Santa Ana, Costa Mesa, and Orange. The Hafen property in Orange County makes up a total of more than 1,300 acres preserved under OCTA’s Freeway Environmental Mitigation Program. 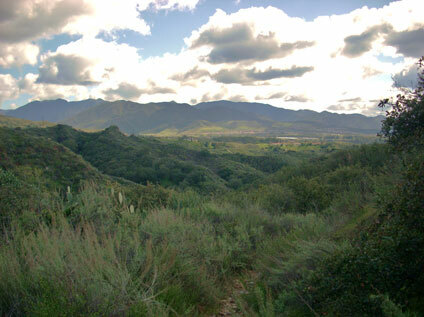 The Orange County Transportation Authority (OCTA) Board of Directors recently approved a conservation plan that ensures more than 1,300 acres of wilderness will remain preserved and forever protected from development. The approval of the environmental documents related to the Measure M Freeway Environmental Mitigation Program marks a major milestone in efforts to protect natural habitat and rare animal and plant species in Orange County. The certification of the final conservation plans, known as the Natural Community Conservation Plan/Habitat Conservation Plan and the associated Environmental Impact Report, is the culmination of a nearly 10-year effort that involved OCTA staff working closely with members of the public, environmental and community groups, and state and federal wildlife officials. “Today is a landmark day for Orange County that demonstrates we can move forward on improving our freeways and transportation system while at the same time protecting the environment that makes our county such a special place to live,” said OCTA Chair Lori Donchak. OCTA’s freeway environmental mitigation program allocates funds from Measure M, the county’s half-cent sales tax for transportation improvements, to acquire land and fund habitat restoration projects in exchange for streamlined approvals for 13 freeway improvement projects throughout Orange County. The program is a comprehensive effort to offset the environmental impacts of the freeway construction projects in Measure M by preserving large swaths of valuable habitat, to protect the plant species and rare animals that live on the land and provide connectivity to other natural lands. So far, OCTA has acquired seven parcels of natural land in Trabuco Canyon, Silverado Canyon, Brea and Laguna Beach from willing sellers for the purpose of preserving it. Approximately $10 million in funding also has been made available for 11 habitat restoration projects, totaling nearly 400 acres. Overall, approximately $280 million is expected to be made available for environmental conservation projects over a 30-year period. Another component of OCTA’s environmental program provides funding to cities for projects that help protect water quality in Orange County. OCTA’s environmental efforts have been guided, in part, by the participation of the Environmental Oversight Committee, consisting of a dozen public members who make recommendations to the board of directors. Final approvals of the environmental documents came in cooperation with officials from the United States Fish and Wildlife Service and the California Department of Fish and Wildlife. With the final environmental approvals in place, OCTA staff will continue to work toward completing Resource Management Plans for each of the preserves, which also will outline potential public access to the properties that is safe and compatible with the biological goals. Those individual plans for each preserve are expected to be completed in 2017 and 2018. In the meantime, OCTA continues to host periodic hikes and equestrian rides on certain properties. The OCTA board earlier this year initiated an endowment fund that will ensure the long-term management and maintenance of the preserves to protect their valuable biological resources. OCTA staff will continue to work toward designating appropriate long-term managers for the preserves while identifying and funding new restoration projects. For more information on OCTA’s environmental program, visit octa.net/environmental. 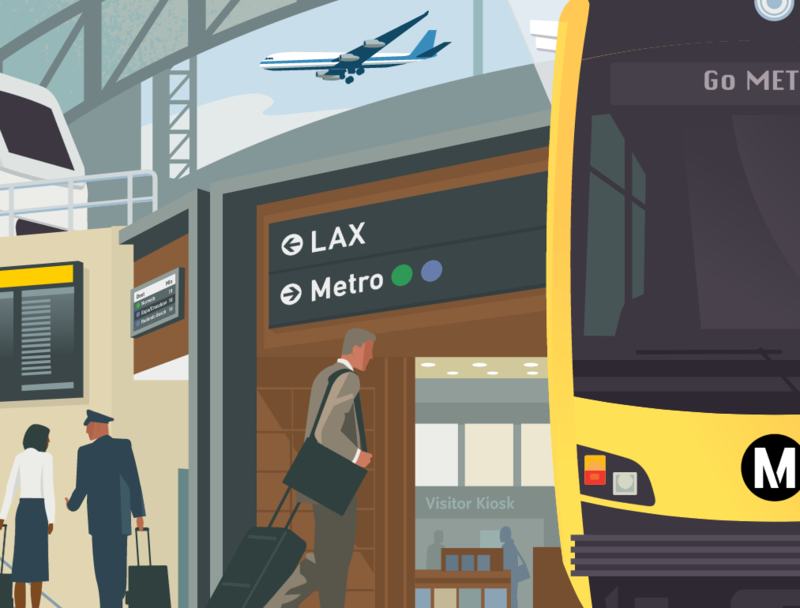 Moving one of the first Measure M projects forward, the Los Angeles County Metropolitan Transportation Authority (Metro) Board of Directors voted this month to certify the Final Environmental Impact Report (FEIR) for the Airport Metro Connector 96th Street Transit Station. The Airport Metro Connector 96th Street Transit Station will add a new station to the Crenshaw/LAX Line – which is now under construction – to provide an easy transfer to a future Automated People Mover (APM) that will connect to the LAX passenger terminals. The APM is being planned and will be built and operated by Los Angeles World Airports (LAWA). Metro and LAWA have been working cooperatively on these two projects to make the connection a reality. The 96th Street Transit Station is envisioned to be the new “gateway” to LAX for transit riders and will be served by the Metro Green and Crenshaw/LAX Lines. In addition, the station will feature three light rail platforms, a bus plaza for Metro and municipal buses, a pick-up/drop-off area for those coming by private vehicle, a bicycle hub, amenities for pedestrians and a Metro hub/terminal building that will provide the connection to the people mover. The public hearing during the scoping phase of the project took place in February 2015 followed by the public hearing on the Draft EIR in July 2016. The Crenshaw/LAX light rail project is being built by Walsh/Shea Corridor Constructors (WSCC), which has committed to completing the project to allow rail service to begin in the fall of 2019. Base Line Road/Baseline Avenue in San Bernardino County was widened from 4 to 6 lanes. 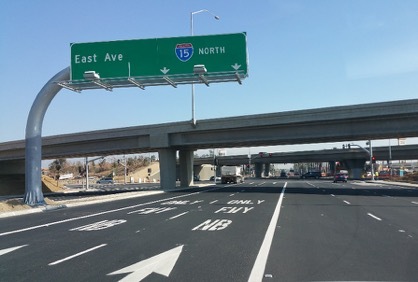 The San Bernardino Associated Governments (SANBAG), the Cities of Rancho Cucamonga and Fontana and the California Transportation Department (Caltrans) celebrated the completion of the I-15/Base Line Road Interchange Improvement Project on Tuesday, Dec. 13. Substantial completion of this approximately $50 million project offers motorists a safer and more efficient driving experience on Interstate 15 (I-15) and on Base Line Road/Baseline Avenue. Designed to increase capacity to meet current and future traffic flow demands, improve safety and efficiencies, and complete streetscape for improved visual aesthetics at the City limits, this project has taken approximately 26 months to complete. This much-needed project widened Base Line Road and East Avenue, added turn lanes to accommodate better flow of traffic, added a new southbound loop on-ramp, realigned and widened existing on- and off-ramps, as well as added acceleration and deceleration lanes on I-15. Installation of water efficient landscaping on Base Line Road/Baseline Avenue and East Avenue will wrap up ancillary improvements by early 2017. The Cities of Rancho Cucamonga and Fontana, SANBAG and Caltrans initiated the project in September 2011. The approximate two-year project was funded in part by Federal, State and Local sources, including approximately $29M from the Cities of Rancho Cucamonga and Fontana and $21M in Measure I funds from SANBAG. Holiday Lights, Trains and Cheer! During the holidays, everybody loves a train, and everybody loves the Festival of Lights at the Mission Inn Hotel & Spa in Riverside. 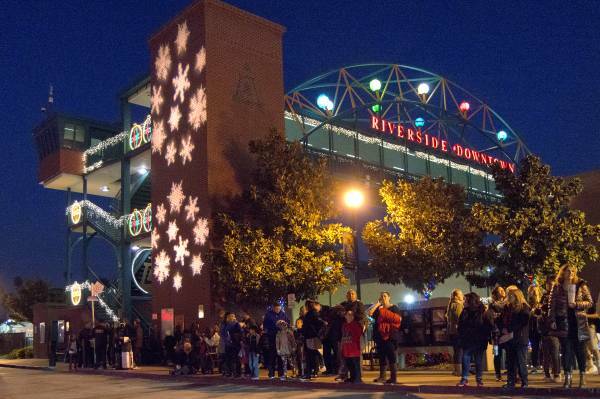 With the start-up of the 91/Perris Valley Line, the Riverside County Transportation Commission (RCTC) partnered with Metrolink, Riverside Transit Agency (RTA) and the Riverside Festival of Lights committee to offer special train service on Friday and Saturday nights during the first four weeks of the festival. Thousands of riders enjoyed this new service with many trains filled to capacity. It did not take long for families and friends to hop on the special trains headed for Riverside. At only $7 per adult (kids ride for free accompanied by an adult), Metrolink trains were quickly filled with joyous riders allowing folks the opportunity to avoid holiday traffic and enabling the riders to enjoy their evening before and after the festival. Once at the Riverside Downtown Station, the RTA offered a free shuttle bus service from the station to the Mission Inn where visitors experiences more than 4.5 million dazzling lights and over 400 animated figures, Dickens carolers, and the world largest mistletoe at the Mission Inn itself; along with horse drawn carriage rides, live entertainment, food venders, and of course Santa Claus in the Downtown Riverside area. The special train service ran on Fridays and Saturdays, Dec. 9, 10, 16 & 17, from Los Angeles Union Station and Perris-South Station to the Riverside Downtown Station on the 91/PV line. For information on the Metrolink train schedule, please go to metrolinktrains.com/FOL.